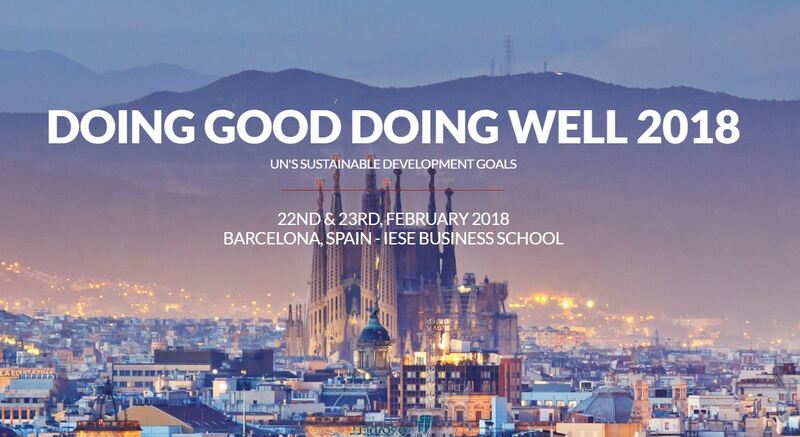 Doing Good Doing Well is an annual conference entirely organised and run by IESE Business School students looking to make the business world a better, more ethical, and socially responsible place. This student-run conference has chosen Akommo as their official accommodation partner of DGDW 2019 for the second consecutive year, and Akommo couldn't be more excited. Since 2004, DGDW has grown into the largest student-run conference in Europe, and offers an opportunity to hear directly from professionals about the challenges and opportunities they experience on a day-to-day basis. These students come together with the help of keynote speakers and panelists to take on the challenges of making business better, focusing on how to interconnect business and society. Akommo places a strong importance on giving back to our community and society, and supporting IESE Business School in this endeavour is a great way for us to get involved with students who are passionate about creating better, more enjoyable workplace cultures and ethics. The Akommo team decided to get to know the IESE students on the DGDW Board a bit better by asking them a few questions. Read the full length interview below and get to know the brilliant minds behind this successful conference! How was Doing Good Doing Well founded? 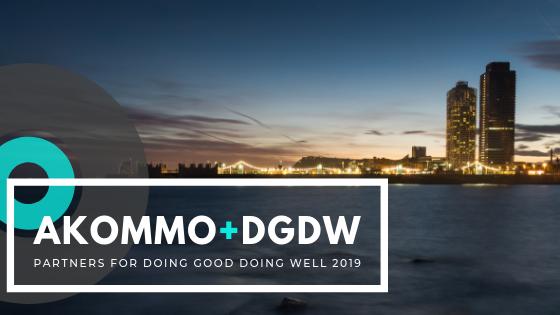 Doing Good Doing Well was founded in 2004 as the coming together of the desire for students to discuss pressing business issues which also aligned with IESE Business School’s values of wanting to improve the world in the process. Who started the conference and why? The conference was founded in 2004 by students Heather Blahnik and Emma Coles to show MBA students that business can be a power for positive impact in the world. The keynote speaker was Mark Albion, one of the founding members of Net Impact. How are the unique themes chosen every year? Each year the conference has one overarching theme which is broken down into several sub themes on which our panels are based. 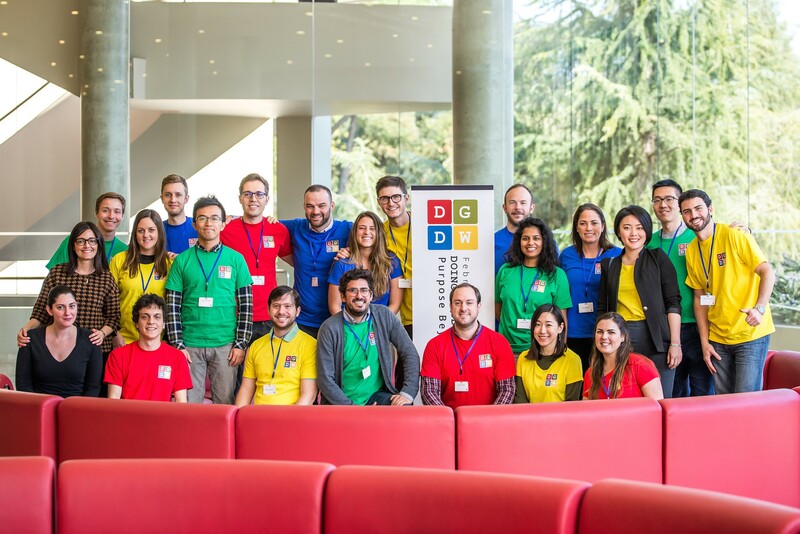 In choosing the key theme the leaders of Doing Good Doing Well and the IESE Responsible Business Club come up with ideas and makes the final decision in consultation with the DGDW Advisory board, made up of (previous student organisers and) IESE Business School professors. The ideas for panels are suggested by all members of the DGDW organisation team and are selected based on their relevance to topical developments in the business world at the moment, as well as their importance in helping us frame, think about and debate solutions which will lead to a better future. What does responsible business mean to you as a student body? As students, we want to ensure we utilise our privileged position at one of the best MBA programs in the world, to both explore issues that will be important to society in the future but also to develop a mindset which balances profits with value creation for society. To us, responsible business is about doing good and doing well at the same time - an intersection that continues to narrow as more consumers and employees gain consciousness of the impact of business, and businesses recognise the opportunities for shared value. How many team members are required to make this event a success? There are 26 members of the team altogether, around half of whom are second year MBA students. These second years began organising the conference as soon as the previous one ended and there is already a team which is thinking about the next conference. In addition to this, we will have another 20 - 30 volunteers during the conference to help with logistics and operations. How do you appoint which students will get involved in the event? The students who organise this conference do so purely due to their passion and commitment towards the Responsible Business Club at IESE and the impact they believe it can have. All team members volunteer to be involved and are allocated roles based on their skills, expertise and interests. How does IESE get involved as a university to help you successfully carry out this event? IESE professors form a DGDW advisory board. They meet with the students leading organisation of the conference regularly to provide advice, ideas, and lessons from previous years are passed on. In addition to this, the school provides mentors who oversee the organisation of the conference a little more closely than the advisory board, as well as contacts from other business schools and organisations who may be able to help. Can you give a description of the layout of the event and the general event programme? The event runs over 2 days. There are a number of high-profile keynote speakers who offer insights on our key themes based on their extensive experience (speakers in the past have included Nobel Peace Prize winner, Mohammed Yunus and Former Head of Greenpeace Europe, Michel Genet). In addition to keynote speakers, there are a number of panel discussions where attendees can raise questions which are then answered and discussed by our expert guests. Finally, attendees have a chance for further involvement through interactive workshops with our partner firms, a pitching competition between entrepreneurs where investors are willing to provide real funding for good ideas, and networking cocktails with all the guests and attendees. at university, and her dream job is to work for an impact investing VC. dance and read, and favourite books are the Dark Tower Series. to swim and kayak, and favourite movie is The Lord of the Rings. a dress, climbing the three highest peaks in the UK in 24 hours. That's a wrap from the team at IESE Business School. For information about tickets and attending, you can sign up here. For more information about accommodation, airport transfers from Barcelona El Prat Airport, and any general city information, send us your requirements at contact@akommo.com and we'll handle all of your event-time needs.